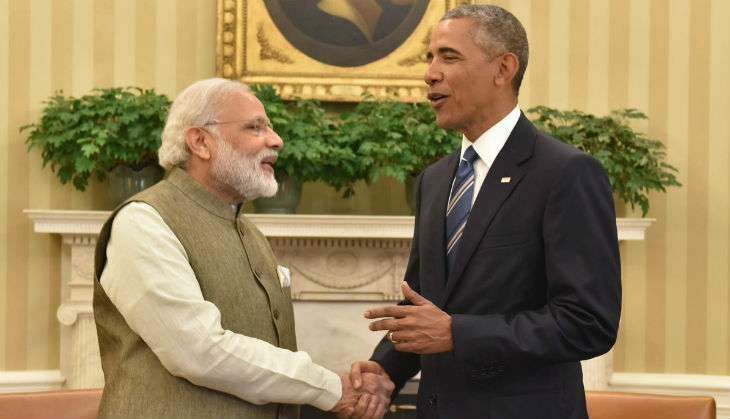 India will be the only country outside Washington's formal treaty allies that will gain access to almost 99% of latest US' defence technologies after being recognised as a 'Major Defence Partner', a senior Obama administration official has said. "India [now] enjoys access to [defence] technologies that is on a par with our treaty allies. That is a very unique status. India is the only other country that enjoys that status outside our formal treaty allies," the official told PTI, explaining what 'Major Defence Partner' status means for India. "We were looking for something unique. This language you would not find in any arms transfer legislation or any of our existing policies. This is new guidance and new language that is intended to reflect the unique things that we have done with India under our defence partnership," the senior administration official said. "This is intended to solidify the India-specific forward leaning policies for approval that the [U.S.] President and [Defence] Secretary [Ashton] Carter... and our export control system have implemented in the last eight years," the official said. Under this recognition India would receive licence-free access to a wide range of dual-use technologies in conjunction with steps that New Delhi has committed to taking to advance its export control objectives. Acknowledging that the impression in New Delhi was that India was not getting access to the kind of technology it needed from the US, the official said it was a constant source of discussion. "[In reality], less than one per cent of all exports [requests] are denied [to India]. They are not denied because of India. They are denied because of global U.S. licencing policies. We do not share certain technologies with anybody in the world," the official asserted. The perception in India that the denial of such technologies is reflective of India-US relationship is far from the truth, the official has said. According to the official, India being recognised as a "major defence partner puts it on par with our treaty allies." Inside the American bureaucratic system, such a recognition removes a number of major export control hurdles for India. The category of 'Major Defence Partner' was created specifically for India, observed Ashley Tellis, of Carnegie Endowment for International Peace, a top American think-tank. "It was meant to recognise that although India will not be an alliance partner of the United States, the administration seeks to treat it as such for purposes of giving it access to advanced technologies of the kind that are reserved for close US allies," Tellis told PTI. "The US expects that bilateral defence ties will only grow in the years ahead, that India and the United States will continue to work together especially regarding maritime security, that India will eventually be admitted to global non-proliferation regimes, and that it will sign the foundational agreements," he said in response to a question. "As these developments materialise, India's access to US technology will also increase, and the "major defence partner" moniker is intended to signal to both the outside world and to the US bureaucracy that oversees licensing that India is viewed as a unique collaborator and will be treated as such where access to advanced technologies are concerned," Mr. Tellis said. Calling India a "Major Defence Partner" is "more a term of art than a technical designation", noted Richard M. Rossow, Wadhwani Chair in US India Policy Studies at the Centre for Strategic and International Studies, another top American think-tank. Calling India a "Major Defence Partner" is "more a term of art than a technical designation", noted Richard M Rossow, Wadhwani Chair in US India Policy Studies at the Centre for Strategic and International Studies, another top American think-tank. "It certainly captures what is emerging as a unique relationship, exhibited by programs such as the Defence Technology and Trade Initiative [DTTI] and the establishment of a dedicated 'India Rapid Reaction Cell' inside the Pentagon. Neither exists for a country other than India," he said. "But the term 'Major Defence Partner' does not automatically trigger a specific process or program in the US system. Our two countries are feeling their way around the contours of our defence relationship," Rossow told PTI. "India desires advanced US technology today, while the US would like more clarity on the specific operations India may be willing to undertake in the future to contribute to regional security. It is a process that has seen great progress, which we hope will carry over into the next US administration," Rossow said in response to a question. Over the last one decade the defence trade between India and the US has increased from being almost non-existent to more than $14 billion. This is expected to increase manifold as India embarks on a major defence modernisation drive.